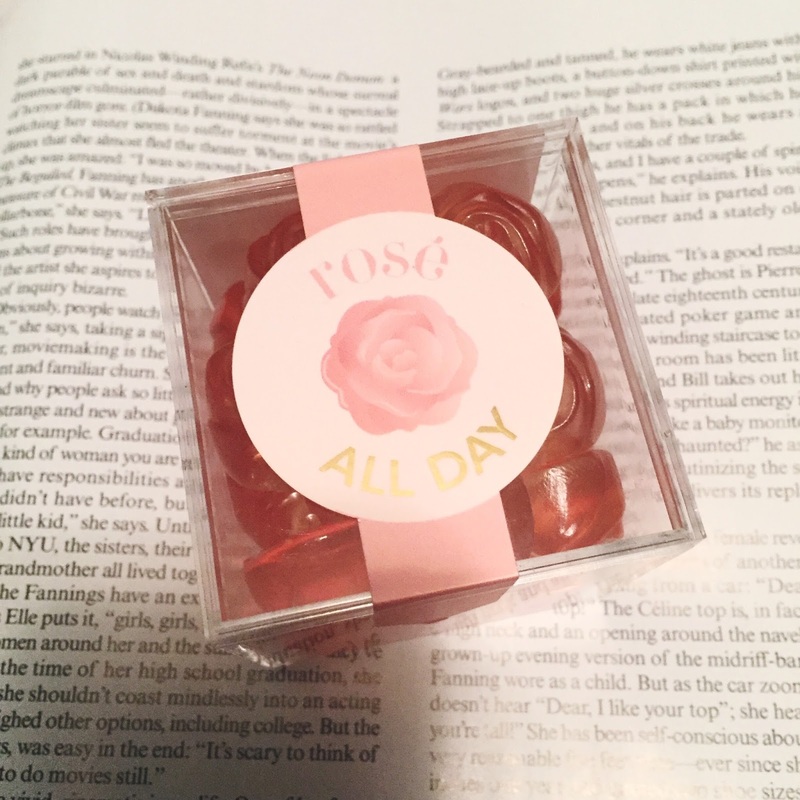 I don't know what to say about these gummies besides the fact that they made me feel bougie AF and that they hardly lasted a few days on my desk. My friend got them for me as a COMPLETELY UNNECESSARY BUT MUCH APPRECIATED GIFT (I can guarantee she's reading this and I need to let her know this) because rosé is synonymous with me in her mind. All jokes aside, these were legitimately delicious and honestly, it's going to be really difficult trying to eat other gummy candies after tasting these Sugarfina delights. I see the hype guys, I SEE IT. I meant to talk about this when I first tried it a few weeks back, but I forgot. Honestly, the delay has really only proved how much I love this iced coffee. It's officially gotten too hot to even attempt to drink hot coffee in the morning and I am just too lazy to try and make my own iced coffee. Since I need caffeine every morning to avoid getting a splitting headache sometime around noon (usually right on the dot), I had to act fast in order to get my fix for the day. 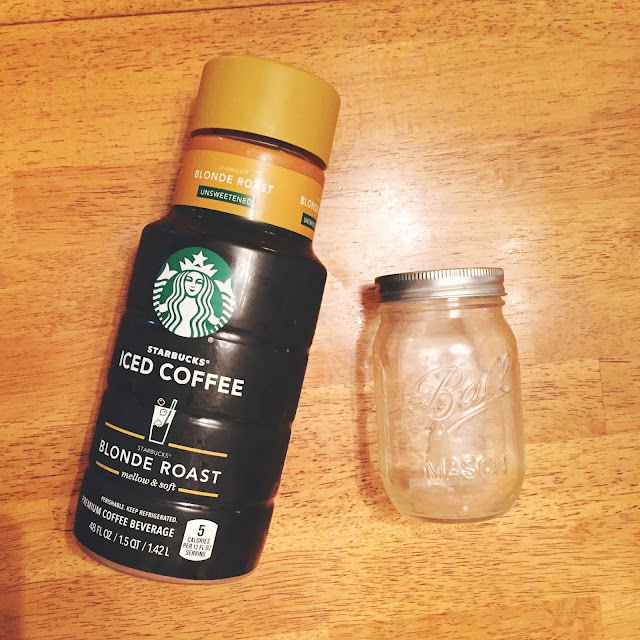 I don't normally like Starbucks coffee because it's too bitter tasting for me, but this was the blonde/light roast and iced coffee, for me, can usually get away with being more bitter. This has made me morning routines so. damn. simple. All I do it pour some of this into a glass (a small mason jar if I'm feeling real Pinterest-y that day), add some creamer, and some cubes of ice and I'm solid. It's so much less time consuming than brewing coffee and then keeping it in the fridge long enough so it's cold and way cheaper than buying an iced coffee every morning from Dunkin or Starbucks. It saves me tons of trouble and keeps my caffeine spirits up and for that, I am eternally grateful. Man, I just love Haim so much. I can't talk about music without sounding like an absolute moron, but Haim just makes me feel good. I want to be an honorary Haim sister. They're just three cool gals, playing their instruments, writing their songs, singing their lil' booties off. I just adore them and their whole vibe is just so–wait for it–cool. Something about them is so effortless, but their passion for it is never doubted. This song is the more relaxed, yet still super fun sister of "Want You Back." It still has the endless summer vibe with a pep in its step, just a step below the groove of WYB. I dunno guys, just give it a listen and fall deep, deeeeeeply in love with the trio. It's impossible not to. I don't even know what to call this masterpiece, but I'm absolutely in love with it. There's two parts to this story. I've recently decided that I want my first NYC apartment to be full of predominantly independent artists. I have a habit of buying mass-produced prints to decorate my spaces and while that was fun for a while, I'd love to be able to support small businesses or artists and surround myself with unique pieces. 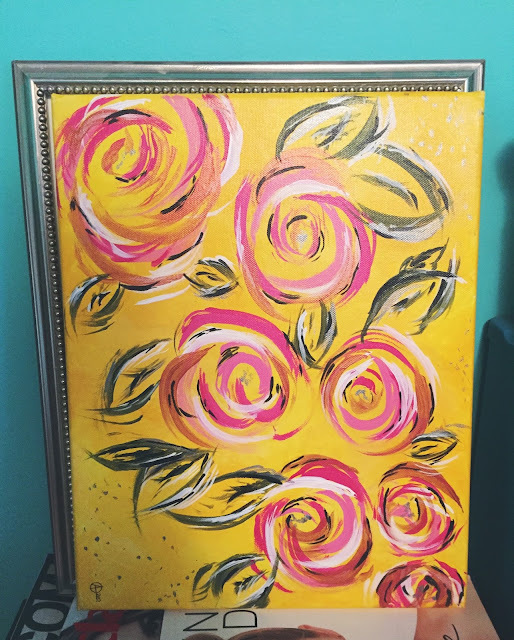 To start it off, I bought this gorgeous floral painting from my friend who paints on the side. It's her hobby. Like, what the hell? I wish I could do a hobby this well. She had been sending me Snapchat updates of this particular painting and every time she sent me an update in the back of my head I was just thinking, "I want this damn painting." I had asked her the week before how much she would charge for paintings and if she would be interested in painting one for me towards the end of summer once I started to figure more things out about my apartment and what not. Clearly, I am not patient, because I have this one in my possession. Part of me assumed, for some reason, that she might just want to keep this painting for herself. She said it was a new style for her so maybe she wanted to keep the trial run just for memories sake. I don't know, as I said, I don't have a hobby like that in which I could be supremely proud of something that I created. Lo and behold, I was scrolling through Instagram and saw that she had posted it on her feed saying it was for sale. I think I texted her immediately after, told her I wanted it, and sent her the PayPal payment less than 24 hours later. I got it in the mail yesterday and actually wanted to cry. It was one of those moments where I fell in love with it just from the picture, but holding it my hands and getting to see it in person made me love it even more. It's such a beautiful piece and I cannot wait for it to have a special place in my apartment, whenever that move-in date ends up coming along. Thank you again for your lovely artwork, Ash. I appreciate it!